Nova Max Blood Ketone Meter has advanced technology for accurate and precise self-monitoring of both blood glucose and ketones levels. The Nova Max meter is fast and easy to use. Free Nova Max ketone meter with purchase of Nova Max ketone strips. The Nova Max Plus Glucose and Ketone Meter Kit is the latest innovation from Nova Diabetes Care. 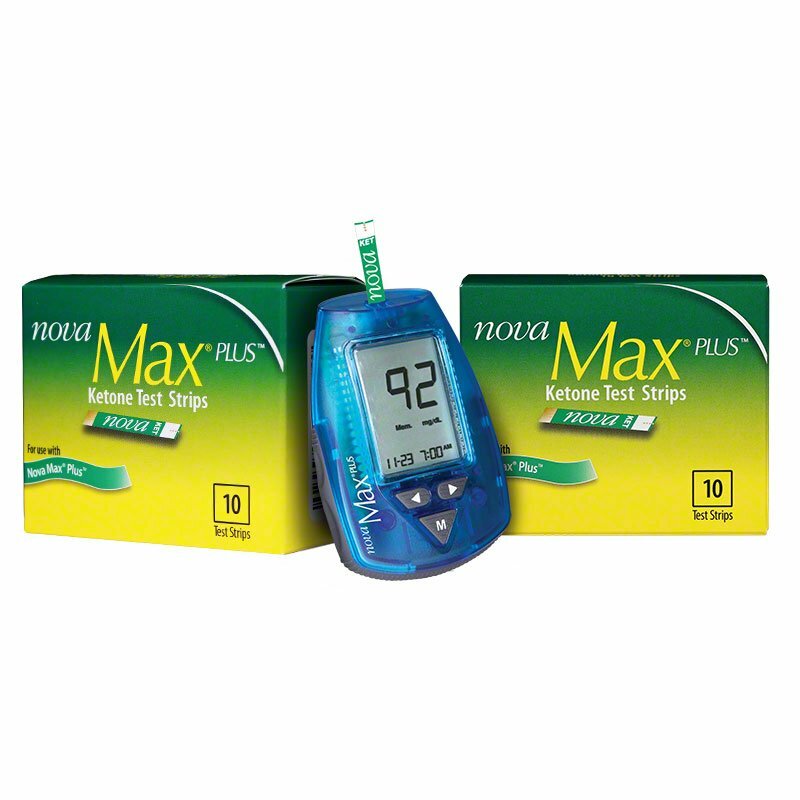 Nova Max Plus incorporates advanced technology for accurate and precise self-monitoring of blood glucose and ketones. Get a Free Blood Ketone Meter when you purchase 2 boxes of the Nova Max Ketone Strips. Measures glucose or blood ketone with a tiny 0.3 microleater. Glucose results are available in 5 seconds. Ketone results are available in 10 seconds using a separate ketone test strip. No coding for Nova Max glucose or ketone test strips. This seems to be a great combo of ketone and glucose meters. Great to only have one meter to keep track of! Easy to use. Easy to read results. I really enjoyed the purchase, the price was a bargain. This is a good little machine and it's easy to use. I ordered this one for a friend. Wonderful dual glucose and ketone reader. Easy to use and read. I'm very satisfied. ADW staff were wonderful in assisting me as well.